Grow Safe® fertiliser is ideal for the home garden. It is best suited to lawn, trees, shrubs, flowers, fruit, vegetables and native plants. The Grow Safe® beneficial microbes in our fertiliser stimulate root growth and soil organic Carbon, which leads to better water retention. This microbe activity improves soil structure and health which helps improve water efficiency. Grow Safe® microbes control release nutrients and transport them to plant roots to stimulate growth. This helps to fix organic matter in the soil, which boosts soil structure, improves and preserves soil health. If you are growing fruit and vegetables, your plants will also maintain their nutrition levels. Our Grow Safe® fertiliser is safe to use around your home because it is alkaline, low leaching and does not leave an acid residue in the soil. It is a great non-toxic alternative to traditional chemical-packed fertilisers and is safe to use around children and pets. Now is your opportunity – by choosing Grow Safe®, you can make a real difference. Our fertiliser contains highly efficient, low levels of phosphorous and can reduce harmful, acid chemicals leaching through the soil and into our waterways. Grow Safe® ‘soldier’ bacteria and fungi protect roots and plants, make them stronger and more resistant to pests and diseases. Healthier plants reduce the need for strong pesticides, reducing chemical pollution to our environment. Grow Safe® Microbes are a balanced combination of cultured soil microorganisms that help mobile minerals and other essential nutrients for uptake by plants. Beneficial bacteria and fungi are essential to soil fertility – allowing plants to better access nutrition, improve water efficiency and overall plant performance. Soil microbes play essential roles in maintaining healthy soils and healthy plants. They are involved in almost all nutrient transactions within the soil. The bulk of these transactions are vital for nutrient availability and exchange to our plants – be it for cropping, pastural or horticultural operations. Azotobacter – free-living nitrogen fixing bacteria. 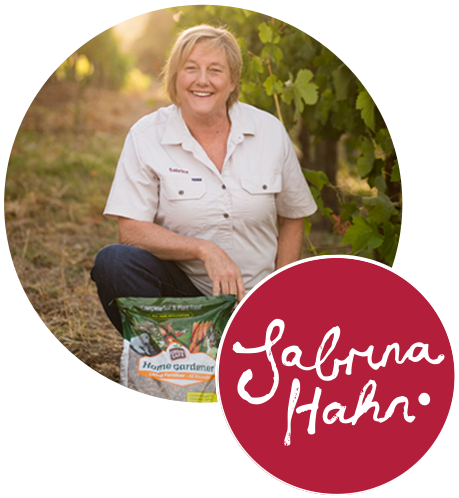 Mycorrhizae – fungi that assist in plants’ mineral nutrient uptake, improve soil health and nutrient recycling processes. Pseudomonas – soldier bacteria that help protect the plant root zone and solubilise phosphates within the soil profile. Rhizobium – Symbiotic bacteria that fix nitrogen in the root nodules of leguminous plants. Trichoderma – Anti-pathogenic fungi, or bio-fungicides, that stimulate plant growth regulators. Grow Safe® Soil Microbes can be applied in a variety of ways – be it coating the mineral granules, seed inoculation or as a liquid foliar spray. Suitable for all applications – trees & natives, fruit & vegetables, ornamentals, shrubs & roses and lawns. 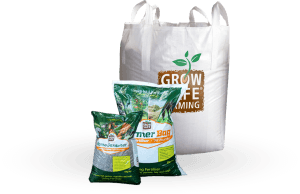 The Grow Safe® flagship product for all the home garden fertiliser needs, coated with 72 Billion CFU/kg.